After organizing my lecture notes for class, I came across this short document I wrote on the fundamentals of sculpture, I called it Defining Strong Sculpture. It was written after I had a lengthy conversation with one of my students on what it takes to create appealing sculpted forms, and how this applies to digital 3D modeling of characters, landscapes, and other objects. I’d like to share these notes with you. I outlined four fundamentals to consider when sculpting either physically or digitally; material selection or choice, interlocation, tension of space, and the texture or the language of the surface. Material, form, and space define sculpture. This is uniquely different from the planar 2D arts. Form is to sculpture as shape is to the draw image. Second is space. Space would be the negative area surrounding the positive area of the form. The marriage between form and space, how one “weaves” the two together, defines the appeal of the sculpture. “The displacement of space by a new and intentional form by the artist creates a new reality: sculpture.” ¹ An excellent example of form displacing space in Brancusi’s Bird in Space. As a side note, this piece, as with all sculpture, cannot be fully appreciated or even understood from a single image online. If you find a turn-around movie of the sculpture, please send me a link, and I’ll append this article. Take this a bit further, what makes contemporary sculpture, today’s sculpture, unique from the other forms of art? It can be argued that some paintings are very “thick”, and therefore protrude far enough to qualify as having form, and therefore are sculpture. Or a ceramicist creates non-wheel thrown forms, and considers them sculptures. I suppose from the traditional perspective this is absolutely true. However, times have changed, and so have the mechanisms for the definition of sculpture. Let’s look at welding, for example. 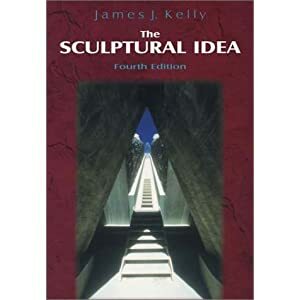 At the turn of the 20th century industrialism was sweeping across the first world, and this very practical method of fabrication changed the landscape of sculpture forever. Sculpture was no longer limited with large bulky forms bound to the earth, but could penetrate space with linear wispy arms reaching into the sky. Look for work by David Smith for more examples of welding in art. The tensile strength of steel allowed artists to create armatures that are not columnar, but cantilevers in space. Like a line draw on a wall, sculpture became drawing with steel in space. Not only does the steel jut into space, but it can be covered or carry many sorts of materials at varying weights. This leads me to the first step in defining an appealing sculpture, and what separates sculpture from it’s contemporaries. Material choice, or the artist’s selection of materials. Material choice and the juxtaposition of those materials is critical in defining the overall concept and appeal of the sculpture. The painter chooses paint, the ceramicist chooses clay, photographers choose prints, yet the sculptor, unbound to a set material, chooses the material(s) that delivers the concept. “At the present time, any and all materials are fair game for the sculptor”.² The wrong material choice can lead the viewer astray, regardless of how well made, or how iconographic the piece may be. The primary material juxtaposed with one or more materials is a critical fundamental step in creating appealing sculpture. The overuse of juxtaposing materials can become confusing for the viewer, cluttered, and can lead the concept astray. A balance, or proportional use of materials must be struck to avoid the viewer being mislead. Third, is to access the tension of the space, or the lack of tension. Is the negative space used effectively to communicate the interlocation of the chosen materials? Imagine two magnets of the same pole trying to touch, yet they are always just out of reach of each other. That space is the balance from one material to the next. The leaning steel forms of Richard Serra are great examples of the tension of space between subject and viewer, the viewer, I believe, being the juxtaposed material. The fourth is the texture of the surface, the marking, or the language of the surface. Manipulation of the material’s surface, affecting it intentionally, and juxtaposing the material against others is critical in designing the appeal of the piece. The surface can not only create a narrative of the material, but can draw out the emotive reaction from the viewer, they may yearn to reach out and make contact with the piece. Whether it is physical or digital, literal or perceived as literal, the tactile sense defines sculpture. Affecting the surface, such as drawing on, painting, or burning it, will encourage the viewer to take a more intimate role of inspecting the piece. This leads the sculptor to a arena of thinking, where they can have both the macro and micro visual stimulus at once. Monumental sculpture, like a Richard Serra piece, combined with the intimacy of surface from an Eva Hesse piece. Some may believe these ideas or instructions to be purely formal, and they may just be that. But I won’t apologize for what I believe is a critical few steps to building strong sculpture, and that which makes a solid framework to deliver concepts.